Ugodre Talks Figures: Can you apply Biggie’s ‘Ten Crack Commandments’ to your business? The Notorious B.I.G (Biggie) is by far one of the most revered hip hop artists of all time. With just two studio albums released before his death, he has had immense influence on the rap culture, that has lasted long after his passing. His rhyming style, grandiose disposition and superb lyrical prowess remain a reference point to becoming a great emcee. He even included sound business advice in his lyrics for ‘Ten Crack Commandments’. Biggie reveals ten laid out rules for intending crack dealers to follow if they are to become successful. 1. “Never let no one know how much dough you hold, cause you know”. Interpretation : do not let people know how much money you have because there are a lot of jealous people out there. Does this apply to Legit businesses? Except for your accountants, auditors, bankers, lenders, and the Federal Inland Revenue Service, it is not advisable to let people (especially competitors) know how much money you have. There was a story about two brothers who both put in a bid to buy a strategic office space critical to both their businesses. Mr A being a very sincere and open person had no issue showing Mr B how much money he had in his bank account after all they’re brothers. As it were Mr A had N100m cash and put in a bid for N10m. Mr B with the hindsight of Mr A’s worth put in a bid of N11m and off-course won the bid. In business, certain things are meant to be kept secret and this is one of such. 2. “Never let ’em know your next move”. Does it apply to Legit business? This rule varies from one stakeholder to the other in my opinion. For your competitors, it makes all the sense to keep your cards close to our chest. That is why Apple spends great deal of money shrouding new products from competitors and in fact the public in general details of their next product launch; the iPhone 4s release is a typical example. This keeps your business ahead of competition especially if it is in a highly competitive industry. However, from a marketing perspective, it is often a selling point letting your customers or consumers up-to-date. Years before Wizkid released his first album, artiste like eLDee, Banky W etc. had him featured on their albums, videos and ushered him on loads of promotional tours. Does this apply to legit business? This is an unwritten rule. However, some level of trust is required to ensure operations move smoothly as you cannot do it all. Trust shouldn’t be completely open-handed though, as it can make or mar you. You can trust an employee, colleague or even a shareholder but that is to the extent that both your interest are being served otherwise…! Interpretation: When you sell crack, do not use crack. Does this apply to legit business? This again varies and depends on the sort of business you are into. But looking at the perspective Biggie was coming from help limit our comparison. He opined that indulging in the same habits that ensure your customers patronize you will lead to your ultimate destruction. Drawing from this, we can employ it to legitimate businesses such as owning a bar or restaurant or into esoteric products. You do not want to be seen tipsy or drunk in your bar. If you are in the liquor business, you also do not want to be an alcoholic or binge drinker. Within this context, it will be fair to say Biggie was once again spot on. Does this apply to legit business? Yet again, this falls into the same category as rule 4. It has to be looked at in a limited context. If you live in a neighborhood where people like to eat a lot of sea food, surely it makes sense to own a fish pond. But then assuming you supply alcohol and cigarettes to clubs restaurants, bars would you want to live beside these businesses? I think not. What if you legitimately sell guns and other warfare equipments, will you want to sell them to your neighbors? I think not. So within the context Biggie is once again right, this can be applied to some businesses just apply rightly. Does this apply to legit business? This is by far the most important rule for start-ups yet like Biggie said this is highly underrated. Most businesses, end up selling goods and services to family members and indeed close friends at huge discounts, on credit and sometimes for free—all based on sentiment. This is by far the easiest way to destroy a business. Interpretation: I believe he meant do not put go around carrying crack. You face the risk of being robbed with the same guns you posses. Does this apply to legit business? Well, this hardly does. But then it depends on your type of business. 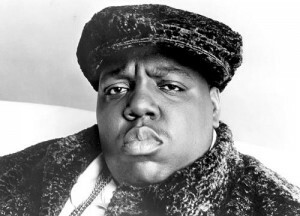 Those into cash-handling might have a word or two in support of Biggie. For example, you do not want to be carrying crash in your luggage if your are a frequent business traveller by road. In these days of internet and universal banking, you can access your account anywhere. This rule might be a toss up for you but its dead on point for me. Interpretation: If you do not have police protection then stay away from the police otherwise your competitors will think you are snitching and will not hesitate to kill. Does this apply to legit business? NO WAY. Even though Biggie calls this number one it reeks of illegitimate characteristics. If you run a legit business then police is your friend isn’t it? Interpretation: If you do not have ready-made buyers for your crack then you are advised not to collect then from your suppliers. Reason is they will want their money whether or not you sell. Does this apply to legit business? This is tricky but lets look at it holistically. If you get a loan from a bank to finance a purchase of items which you intend to resell it is expected that you pay back the loan whether or not you sell the goods. Simply put, people who lend you money want their money back with interest whether or not you succeed with your investments. In fact this applies to most businesses. Nobody wants stories. Conclusion: Its pretty amazing how legit and illegitimate businesses find common grounds in attaining success. It’s no wonder most successful drug dealers and men of the under world end up running successful enterprises when they turn legit.